FNB, formed in Grahamstown as The Eastern Province Bank in 1838, is the oldest bank in South Africa. Now you can apply online for a credit card from them. Apply Online for a Credit Card, but How does a Credit Card Work? A credit card allows an account holder to purchase goods or services on credit. The account holder agrees to pay the money back to the bank each month, with interest. Printed on the statement is the date on which the bank expects to receive a payment from you. Gold Credit Card – Your income needs to be between R120,000 and R349,000 per annum. Premier Credit Card – You should earn between R350,000 and R749,999 per annum. Private Clients Credit Card – Income required will be between R750,000 and R1,499,999 per annum. 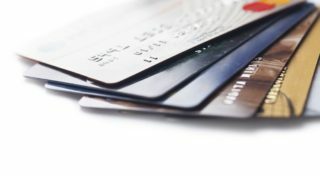 Private Wealth Credit Card – You need to earn R1 million or more per annum. Petrol Card – This is linked to your credit card and your income needs to be R80,000 or more per annum. Each credit card has its rewards and benefits. The interest rates and credit limits are based on your personal information. You get up to 1.5% back in e-bucks on any purchase using your credit card. There is a monthly fee of R30. A monthly credit facility service charge of R13. A once-off initiation fee of R165. No need to stand in a queue at a bank, you can apply online. Think of your budget first, and make sure you can afford the monthly repayments. Fill in the application form online, be honest. Submit the application. FNB has a credit card calculator online where you can work out your monthly instalments on all expensive purchases. Wait a couple of days to see if your application is successful. The bank will check your credit history and your credit worthiness. Always keep track of your spending. Make sure you pay the minimum amount or more, before the due date. This way you can enjoy the freedom that comes from using an FNB Credit Card.